Feel at home in Tuscany, in Castiglion Fiorentino's medioeval centre. 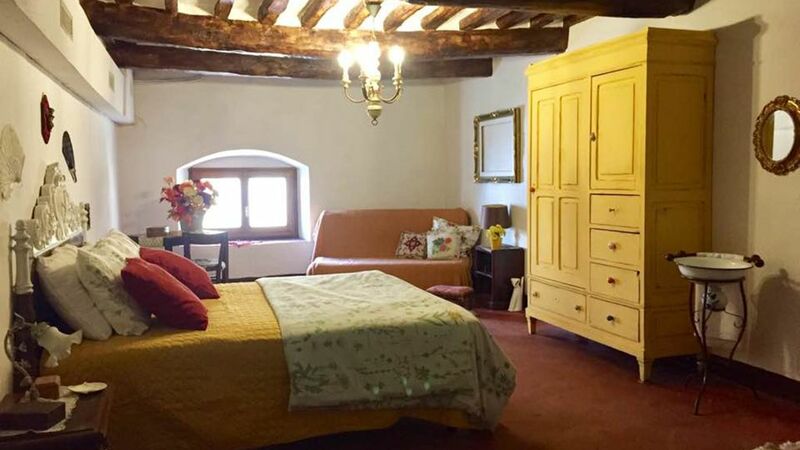 The apartment is a located at the base floor of a large Renaissance "Palazzetto", furnished with some pieces that belonged to my grandparents and have been in the family for generations. The house was the birthplace of my grand-grandmother Jolanda, grandpa Mario and father Piero and it still keeps a lot of memories of their past. Your flat is located on the base floor and is completely independent. Your cozy apartment consists of a big living room with a huge table and an equipped kitchen. The bathroom includes a large and comfortable shower. Two spacious private bedrooms with a double bed can host 2 and up to 4 guests. The apt is also equipped with tv and hair dryer, all the appliances are new. We provide bed linen, blankets and towels. The whole apartment has been completely renovated (April 2017), equipped with all the amenities and filled with original antique furnitures. I'm an Italian Museologist, and Art Historian. I work as an Interior Designer and Decorator with frescoes and restorations. This is the birthplace of my family and we'd love to keep it alive and share our memories with you! Tuscany - Family - Love!